← SKELETONS SWAG IS HERE! Ever had an inanimate object give you the creeps? If you have, then you’ll identify strongly with Alison Lurie’s disturbing “The Highboy.” If you haven’t? Then this story is the best way to connect with that feeling without having to go through it (yes, I know, cheap thrill). What gives this story its creep-factor—well, other than the very subject itself—is Lurie’s diction: this modern tale is peppered with antiquated words and phrases to invoke the feel of many of the classics. Read “The Highboy” and the next time you go into your dining room, you might just give that really ugly inherited antique a second glance. 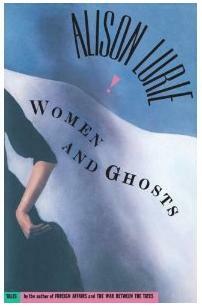 Posted on September 15, 2011, in GhoStory Guru and tagged Alison Lurie, Ghost Stories, Halloween stories, Horror Stories, Women & Ghosts. Bookmark the permalink. Leave a comment.